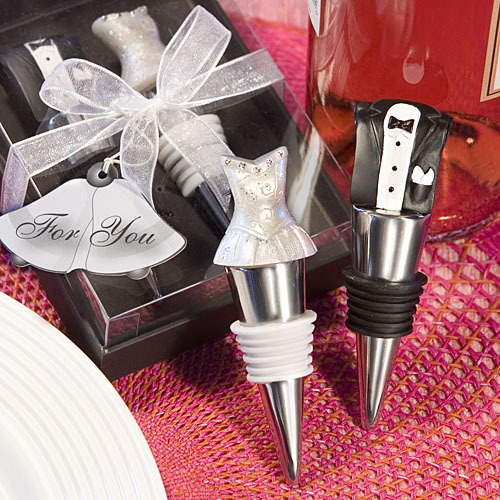 Two Hearts are better one, as you are the perfect combination so are these combination Wine Pourer and Bottle Stopper wedding favors. They make the perfect gift for your elegant affair. Each elegant solid chrome metal wine pourer bomboniere is adorned with a two open hearts design stopper. These Wine Pourer and Bottle Stopper wedding favors will remind your guests of the perfect combination you are every time they sit down to enjoy their favourite vintage. Best of all they come ready for gift giving in an elegant black velvet lined gift box, and finished with an organza ribbon and a double hearts thank you tag. 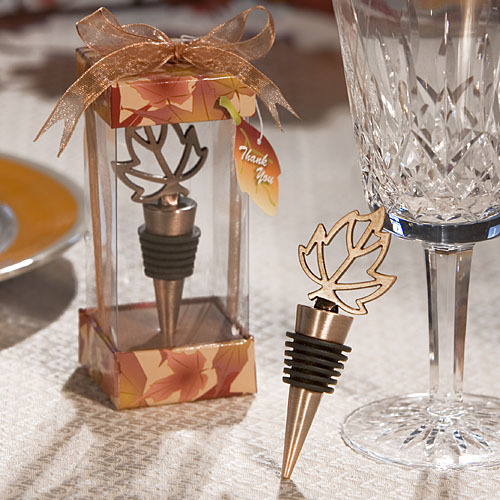 These Wine Pourer and Bottle Stopper wedding favors measure 3.5″ tall. Buy this now. 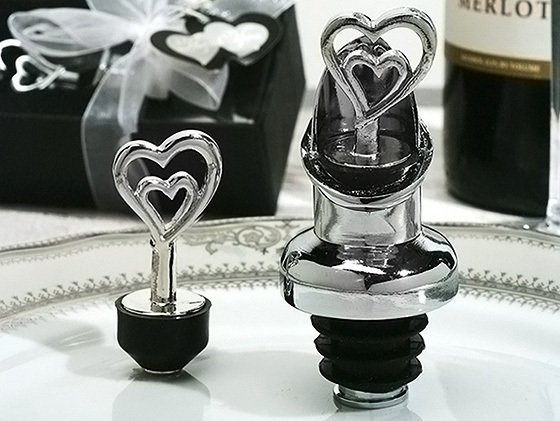 If you want to give a favour that is truly unique, then these Heart Wine Stopper and Bottle Opener wedding favors are for you. 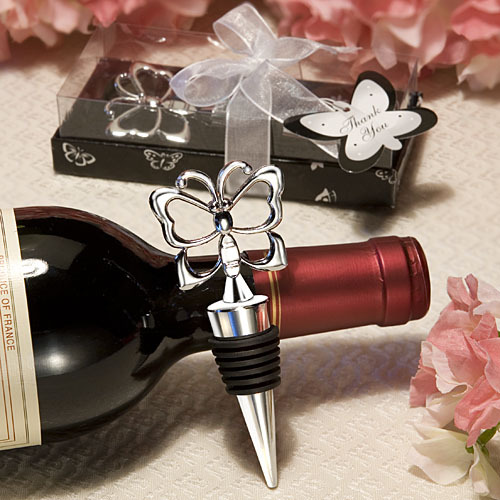 These wine stopper favours double as bottle openers as well, the chrome metal intricate heart top is attached to a metal base. 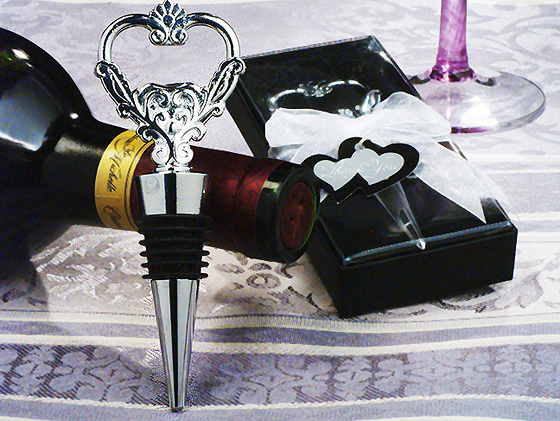 Your guests will be impressed with these stylish two in one Heart Wine Stopper and Bottle Opener wedding favors. Best of all these bombonieres are ready for gift giving, they come packaged in an elegant black gift box with velvet lining wrapped with an organza ribbon, and Heart shaped thank you tag. Each Heart Wine Stopper and Bottle Opener wedding favor measures 5 long. Buy this now. 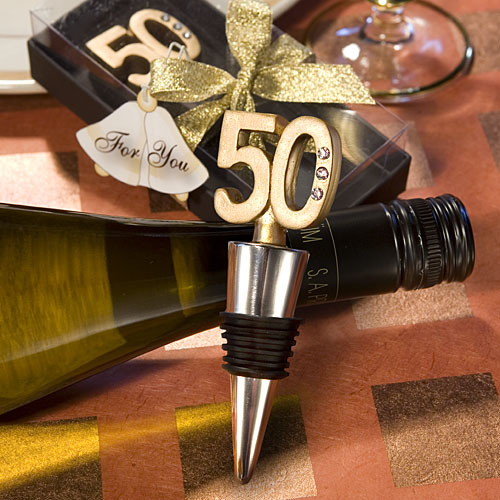 Your guests will be starry –eyed over these exclusive Vineyard Collection Star Design Wine Bottle Stopper wedding favors. Great as bombonieres for your bridal shower, baby shower or any fun-filled occasion. 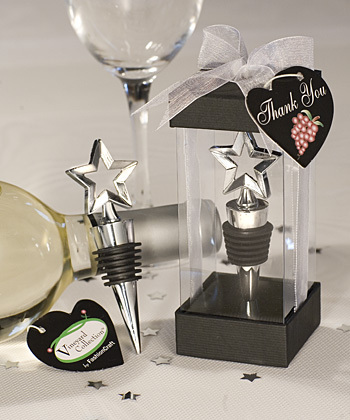 You’ll be thanking your lucky stars that you chose these delightful star design wine stoppers for your special event. Each 4” x 1 ½” Star Design Wine Bottle Stopper wedding favor features a stylish star chrome star outline perched on a sturdy chrome stem. From the exclusive Vineyard Collection™, each chrome wine stopper favour is packaged upright in a deluxe clear box with a black top and bottom allowing a dramatic 360 degree view of the favour, finished with a white organza bow and a designer heart shaped thank you tag attached. 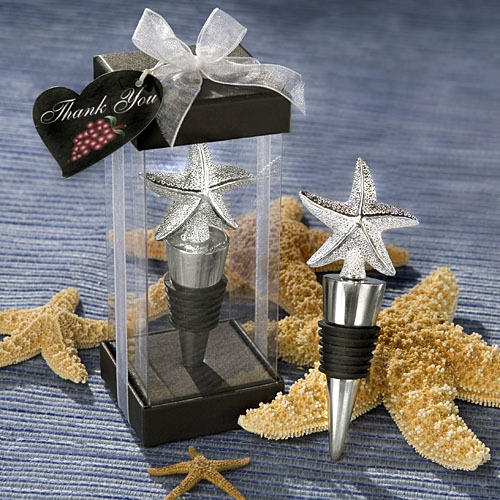 These Star Design Wine Bottle Stopper wedding favors will add that extra shine to your special event. Buy this now. 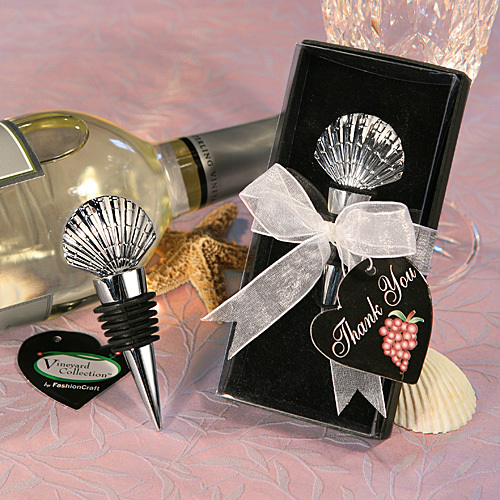 Vineyard Collection™ Shell Design Wine Stopper wedding favors. 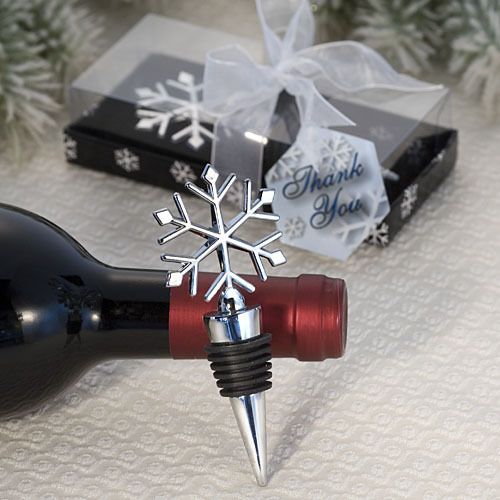 Bring the warmth of the beach to your guests all year round with this Vineyard Collection™ shell design wine stopper favours. Just right for a beachside event or any special occasion, these Shell Design Wine Stopper wedding favors are true show stoppers! The symbolic and elegant chrome scallop shell is perfectly perched atop each 3 ½” x 1 ½” chrome wine stopper designed to be sleek and practical additions to your guests’ homes. Exclusive Vineyard Collection™, each chrome wine stopper is beautifully packaged in our signature clear box with a black bottom, elegantly finished with a white organza bow and designer heart shaped thank you tag attached. 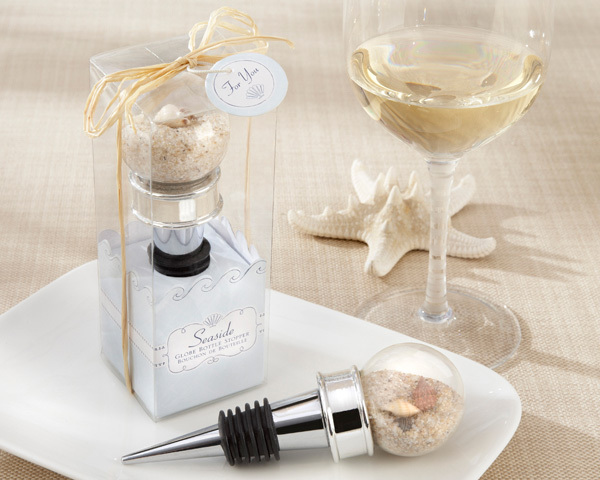 These Shell Design Wine Stopper wedding favors are the perfect beach themed bomboniere for that destination wedding. Buy this now.